This is an industrial coating process; in which the substrate is dipped into a tank of the coating reservoir, which is normally of a low viscosity to enable the coating to run back into the bath as the substrate emerges. This process is frequently used on porous substrates. Immersion/Dip coating process take after the set method which takes after as parts to be covered ought to be cleaned to evacuate contaminants. This outcomes in unrivaled groundwork attachment and in addition enhanced consumption resistance. In the event that grip to the part is craved, use of a preliminary is needed on all areas were polymer coatings needed. The prepared part is streak dried and heated to set the preliminary and prepared the part for the hot dipping operation. The prepared part, hot from the groundwork change heat, is inundated in the fluid material. Every single hot piece of the product submerged in the fluid polymer will layer upon withdrawal from the shower with a layer of semi-combined polymers. The amount reserved will depend on the period of time the part was drenched, the metal temperature that the part was submerged at, and the general plan of the compound utilized. The higher the metal temperature and the more extended the immersion time, the more noteworthy the polymer thickness. The part covered with the semi-melded polymer is prepared to a temperature subordinate upon the particular compound equation. This finishes the combination of the coating, and grip to the product. At the point when the hot part covered with melded polymer leaves the stove, it is exceptionally touchy to surface damaging. The part is chilled off before handling. The completed covered product is then expelled from the transports, reviewed and readied for pressing and shipment. 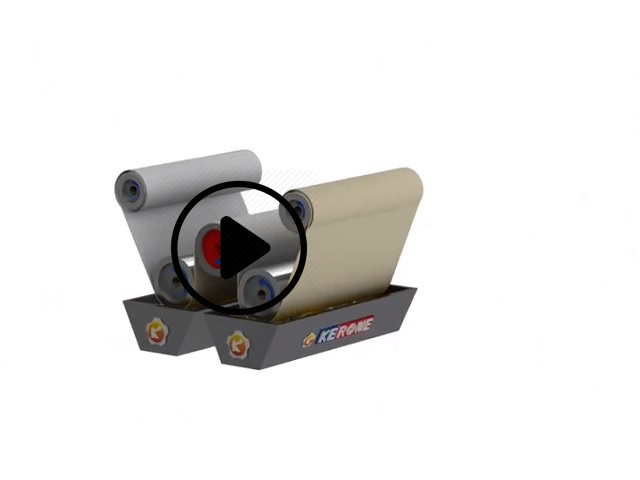 We at KERONE are having 40+ years experience in designing and manufacturing various types of specialized coating and impregnation plants for various industrial processing needs of our clients. We are having immense experience in designing and manufacturing of Immersion/Dip coating systems that can best fit for the size and various processing requirements of the client’s business. 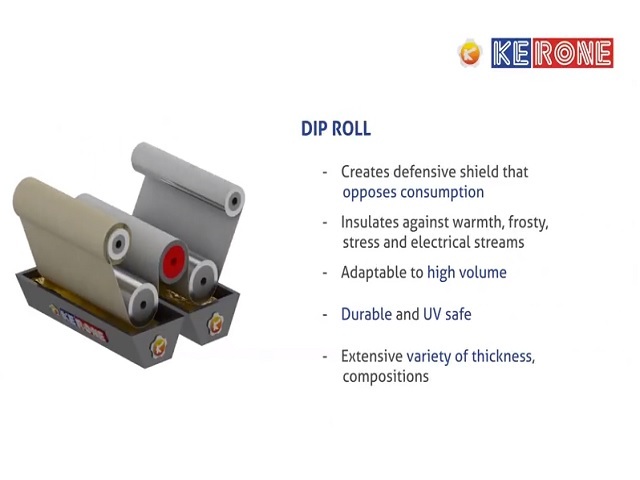 The Immersion/Dip coating systems manufactured by KERONE are made with high quality internal and external material by taking discreet efforts for the perfect coat and uniform heat distribution.